Located in Livingstone, along the Airport Road. 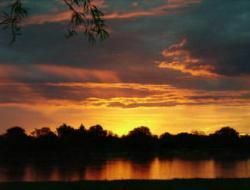 Flintstones Backpackers, Lusaka Best Price Promise! Flintstones Backpackers was formerly known as Kuomboka Backpackers. 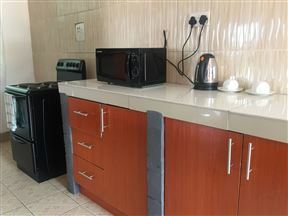 It is a secure state-of-the-art guest house in Lusaka which is the capital city of Zambia. 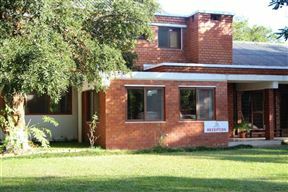 Mokorro Hotel is located in Chingola, Zambia; in the Copperbelt Province. 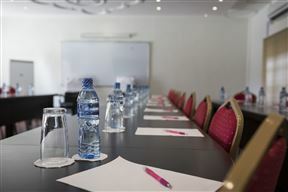 This refurbished Hotel offers state-of-the-art facilities and excellent service. 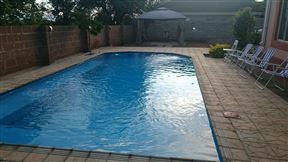 Pioneer Lodge, Lusaka Best Price Promise! 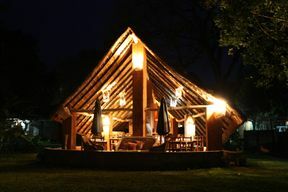 Pioneer Lodge is situated in a beautiful safari-style environment, within easy distance of Lusaka International Airport. The lodge has lovely décor and genuine hospitality, making the most of every holiday moment. 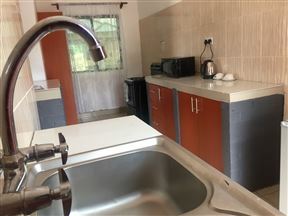 Based in Mosi Oa Tunya National Park lies the self-catering units of Sweet Home Apartments able to accommodate five guests with all needed amenities. 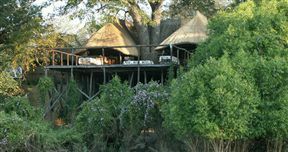 Kabula Lodge Western Zambia, Upper Zambezi Best Price Promise! Situated on the banks of the mighty Zambezi River, Western Zambia Kabula Lodge has been specifically designed to provide affordable and truly comfortable holiday accommodation for families who love fishing, birding, the outdoors and who want to enjoy Africa at its pristine best. 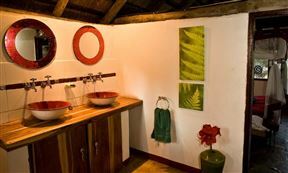 In keeping with the theme, the rustic and comfortable thatched chalets are built of local materials. 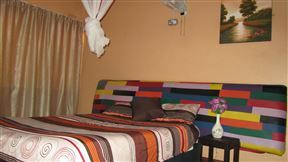 City Lodge Lusaka is an up-market lodge conveniently located in the heart of Lusaka. The accommodation is ideal for individual travellers and groups, whether for business or leisure. At Wildlife Camp we offer a much-needed place for the budget traveller, providing rustic en-suite chalets, a secluded en-suite tented camp, and a bush camp for overnight walking safaris and beautiful campsites - all situated on the banks of the stunning Luangwa River.